Joanna has spent the last 20 years on a journey of transformation, through the roller coaster of emotions, through deep suffering and ecstatic bliss to emerge with gathered wisdom to hold space for whatever you are going through. Through a closed container and sacred space, her retreats offer a nurturing, safe space for release and healing. Joanna has loved to dance all her life, though never felt comfortable with formal dance instruction. She found dancing in clubs in her teens to be the perfect way to relieve the stresses and pain of adolescence. For her, dance has always been an emotional release and spiritual connection. That is why, when she discovered JourneyDance at Kripalu Center, she felt like she had come “home” and knew instantly that she needed to lead this kind of work for others. She got her first JourneyDance training in 2007 and has been guiding them ever since. In december 2012, she completed module 2, deepening her connection to the transformational power of JourneyDance. As a yoga teacher and certified JourneyDance instructor, Joanna leads groups on transformational retreats including an annual week of classes at Omega Institute. Joanna believes dance can be enjoyed by people of all shapes, sizes, and abilities, and her passion is empowering her students to embody their natural expression and create their practices through inner experience rather than outward aesthetics. Joanna Carichner has practiced yoga since 1992 and embraces various approaches including Yin, Vinyasa, Kripalu and Restorative. She was first inspired to share her expressive and mindful approach to yoga during a four-month residency at the Kripalu Center. Joanna believes yoga can be enjoyed by people of all shapes, sizes, and abilities, and her passion is empowering her students to embody their natural expression and create their practices through inner experience rather than outward aesthetics. 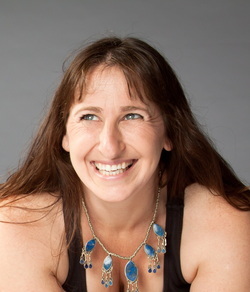 Joanna is also an intuitive healer and bodyworker. Even as a young child, she instinctually touched peple when they were in pain, always to the delight of others. She was born with a gift for healing and was called to make it her profession in 1997. Since that time, she has integrated several modalities into her healing work including: Reading the Akashic Records, Vibrational Healing Massage Therapy, Vibrational Energy Work, Zen Shiatsu, Breema Bodywork, Muscle Release Technique and Trigger Point Therapy. Over the last 15 years, she has synthesized these modalities in to her own creation: BodyPlay sessions. Join us. Come to the retreat.